Desi Smith/Staff/Photo. 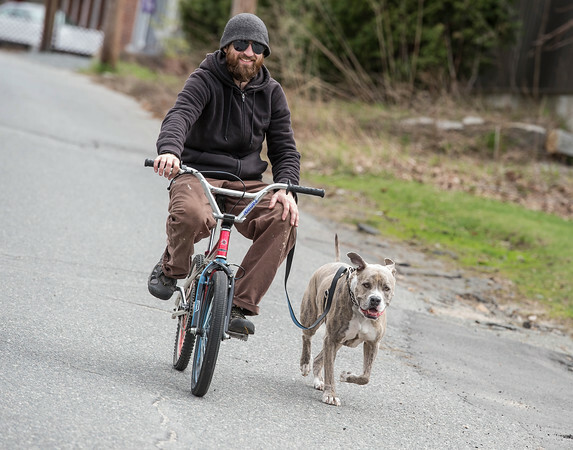 Sean McCann of Gloucester takes his dog Mr. Eko for a run down Whittemore Street Friday morning. May 1,2015.